Swaziland Tourism, the tourism authority of Swaziland, just published an overview on the cultural festivals to be held in the country in 2014. If you are planning to visit Swaziland in January, March, May or August, you might get the chance to experience the country's (ancient) traditions first hand! Enjoy! The Incwala Festival: December 2013 - January 2014 . The religious 'Festival of First Fruits' unites the country, gains the blessing of ancestors, sanctifies the kingship and celebrates the beginning of the harvest season. The Marula Festival: March 2014 - A royal tribute to the riches of Mother Nature, where local Marula fruit is harvested and used to make beer to a traditional recipe and celebrated with song and dance. The Bushfire Festival: May 2014 30 May - 01 June 2014 - This unique festival sees some of Africa’s best artists performing in a 100% socially responsible festival. The Reed Dance: August 2014 - The coming together of the nations women to cut new reeds to present to the Queen mother. Over 60,000 young women take part in this visual spectacle, at the royal residence. Airports Company South Africa (ACSA) and Wi-Fi service provider AlwaysOn recently implemented Wi-Fi across all nine of ACSA's airports in South Africa. To access the service, which is compatible with Wi-Fi enabled devices such as laptops, smartphones and tablets, users are required to register. Once registered, the usage of the Wi-Fi network is for free for the first 30 minutes or 50MB, whichever comes first. In case users need more than 30 minutes or 50MB, the Wi-Fi network can also be used on a pay-as-you-go basis. The prices for the paid-for Wi-Fi vary between R15.00 and R175.00 (time or data limited options are available). Purchased access can be used at any AlwaysOn hotspot throughout South Africa. For more info, please read ACSA's Wi-Fi FAQ (pdf)! According to the latest statistics released by the Department of Environmental Affairs, South Africa has lost 946 rhinos to illegal poaching since the beginning of 2013. Of the rhinos poached, 573 rhinos were killed in the Kruger National Park, 106 in Limpopo, 85 in Mpumalanga, 84 in KwaZulu-Natal, 82 in North West, 5 in the Eastern Cape, 4 in Gauteng and the Freestate respectively as well as 3 in the Marakele National Park. The total number of people facing rhino poaching-related charges in South Africa has increased to 330 since January 2013. South Africa will extend the working hours and will deploy more immigration officials at the country's ports of entry during the festive season to ensure smooth movement at the ports and to avoid delays at border posts. 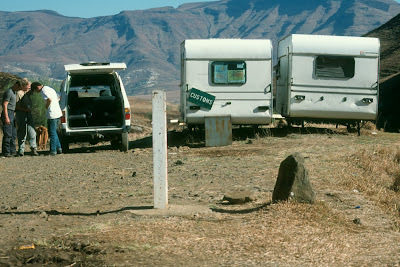 During the festive season, high volumes of people are usually recorded at South Africa's borders. 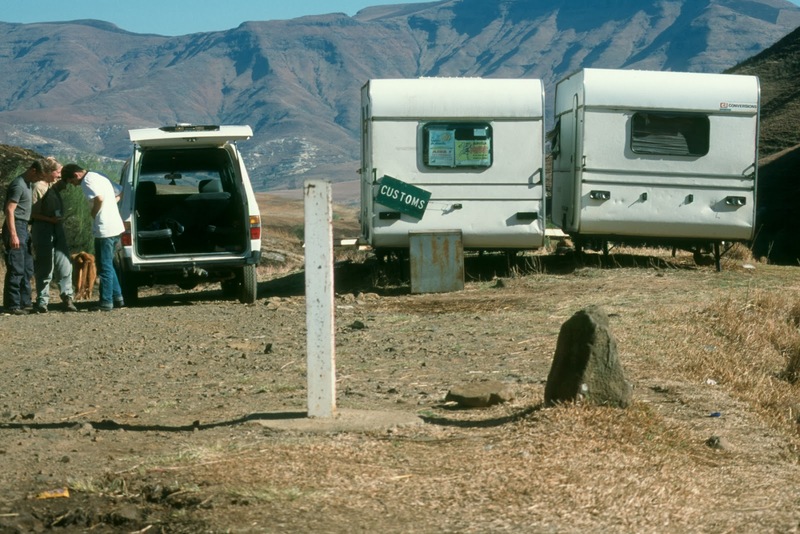 It is estimated that more than two-million people will travel through land border posts during the holiday period. 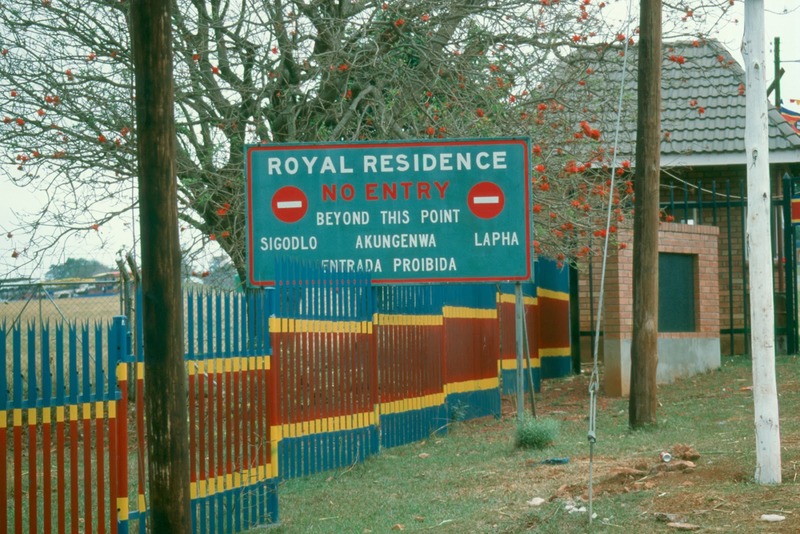 Once the headquarters of Umkhonto we Sizwe, the military wing of the African National Congress (ANC) at that time, Liliesleaf is today an interactive museum that honours the lifes of South Africa's liberation struggle activists during the Apartheid era. The museum, situated in residential Rivonia in Johannesburg, is open 7 days a week from 08:30 - 17:00 during the week and from 09:00 - 16:00 on weekends. The standard self-tour costs R60.00, while the standard guided tour costs R110.00 and includes the entrance fee as well as a tour done by one of Liliesleaf's well-trained tour guides. The flag carrier of Tanzania, Air Tanzania, has launched a new services to Burundi as well as two new domestic routes. Effective 15 December 2013, the airline started operating schedulded flights on Wednesdays, Fridays and Sundays between Dar Es Salaam and Bujumbura, the capital of Burundi. At the same time Air Tanzania also introduced flights from Dar Es Salaam to Mbeya on Mondays, Wednesdays, Fridays and Sundays and daily operations to Mwanza in northwestern Tanzania. South Africa's flag carrier, South African Airways (SAA), has extended its code share agreement with stable mate low cost airline Mango. Effective 13 December 2013, the codeshare agreement also includes the routes between Johannesburg to Cape Town, Durban, Port Elizabeth and George, as well as between Cape Town and Bloemfontein and Cape Town and Port Elizabeth. The already existing code share agreement covered flights between Cape Town and Durban and between Lanseria Airport (Johannesburg) and Cape Town. Mango will continue to be the operating carrier with South African Airways placing its code "SA" on the flights as the marketing carrier. SAA customers will therefore travel on a ticket starting with "SA" and then the flight number, while Mango customers will travel on a ticket starting with the "JE" code. The largest small group adventure travel company in the world, G Adventures, has indentified the five hottest destination travel trends for travellers in 2014. Based on various indicators, such as growth figures, demand and market trends, the tour operator selected Rwanda as one of the countries to visit in the upcoming year. The other four destinations on the Top Five list are Indonesia, Ecuador, Morocco and Turkey. One of the main reasons for G Adventures to name Rwanda is the introduction of the East Africa cross-border visa for travel to Rwanda, Kenya and Uganda. The new regulation makes it possible for visitors to travel to all three countries on one visa. The joint visa costs $100 and will be launched on 1st January 2014. G Adventures will also run its first-ever trip to Rwanda in 2014. The Rwanda and Uganda Gorilla and Chimp Adventure is a nine-day trip through Rwanda and Uganda (Kigali to Entebbe). The tour includes an orientation tour of Kigali, a guided Mountain Gorilla Trek with permits, a Golden Monkey Trek with permits, a guided Chimpanzee Trek with permits, safari game drives in the Queen Elizabeth National Park, Wildlife boat cruise in Kazinga Channel etc.. As there are only a limited number of permits available for the primate trekking it is not unusual for permits to be sold out as far as 6 months prior. 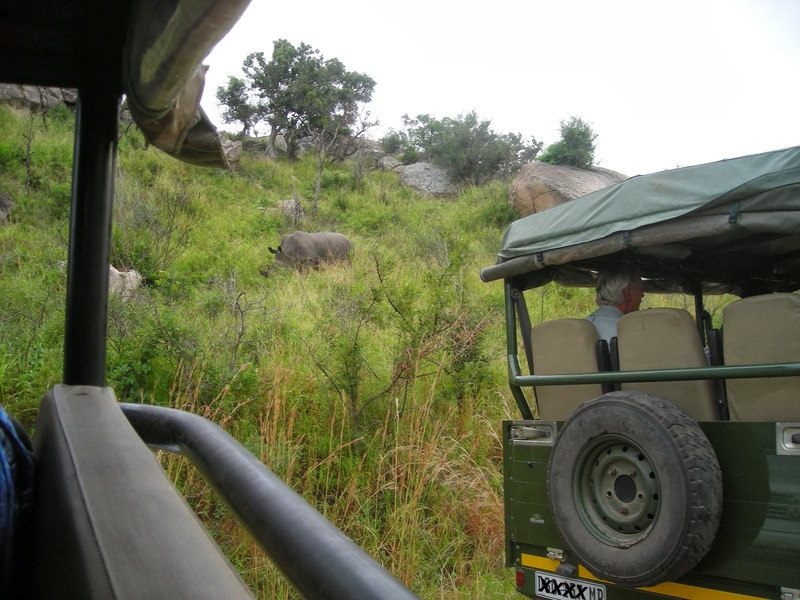 G Adventures therefore recommends to book this trip as far in advance as possible. update (03 Nov 2014): Distant Relatives Ecolodge & Backpackers has uploaded a great new video... Check it out! 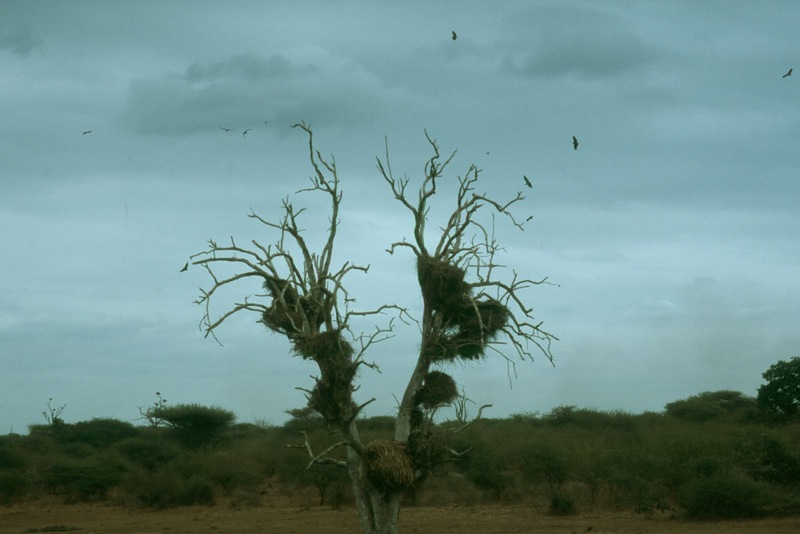 I just stumled on the promo video for Distant Relatives Ecolodge & Backpackers in Kenya, felt immediately like staying with them one day and, of course, recommending it to you. The backpackers is located in Kilifi, a coastal resort town about halfway between Mombasa and Malindi (about 60km either way). It was only opened in December 2012 and understands itself as "an experimental model of environmentally and socially conscious living". Distant Relatives offers one private room with ensuite shower and toilet, four private rooms with ensuite shower, five breezy safari tents, a campsite and two eight-bed dorms. Check out the video, feel the vibe and go stay with them! Kudos Distant Relatives Ecolodge & Backpackers! One of the guys from Tag Media recently spent three month in Tofo, Mozambique. Located on the Ponto do Barra peninsula in the country's Inhambane Province, the town became a major tourist destination over the last couple of years. Besides being a beachlovers paradise, Tofo is also known to be one of the best destinations for divers to see Manta Rays and Whale Sharks. Allow yourself about five minutes to watch the film, which was entirely filmed with a GoPro Hero 3 Black edition, and enhance your wanderlust! You won't regret it! Kudos Tag Media! THIS IS TOFO from Tag Media on Vimeo. Tofo is about 6 hours drive north of Maputo. From the north, Tofo is about 5 hours drive from Vilanculos. Following the death of Nelson Mandela on the 05 Dec 2013, the Nelson Mandela Museum in Qunu is expected to see an increase in the number of visitors, both local and international. The museum already opened its doors back in 2000 and offers a memorable cultural experience that gives insight into the life of Nelson Mandela. Guided tours are available as well as a heritage trail that follows Mandela's footsteps. Madiba never wanted the museum to be a tribute dedicated to him; instead he wanted the museum in Qunu to serve as a catalyst for the upliftment and development of the local community. Qunu will also be the final resting place of Nelson Mandela. He will be buried here on 15 December 2013. The Nelson Mandela Museum is open daily from 09:00 – 16:00 except for Good Friday and Workers Day on 01 May. The museum does not charge any entrance fees, however donations are encouraged. As Qunu is a rather small town with limited accommodation options, travellers might consider rather to stay in Mthatha (32 km along the N2) or in Butterworth (92km along the N2). Three historical sites actually form part of the Nelson Mandela Museum projekt. The sites are at Mvezo, near Coffee Bay, where Mandela was born, the village of Qunu about 32 km outside Mthatha and the Bunga Building on Nelson Mandela Drive in central Mthatha, where the story of the life and times of one of South Africa's greatest leaders is depicted. Due to high demand, South African Airways (SAA) will be deploying more capacity on its Johannesburg <> Cape Town and Johannesburg <> East London routes. The frequencies will remain the same, but the airline has deployed bigger aircraft on specific days to meet the demand. SAA currently operates daily flights between Johannesburg and Cape Town and Johannesburg and East London. Two days after Nelson Mandela passed away, the Soweto Gospel Choir paid a very special flashmob tribute to Madiba. In cooperation with Woolworths South Africa, the choir sang an incredible tribute to Mandela in Woolie's Parkview store. Truly inspiring! Hamba kahle tata Madiba! Uganda: Free "Gorilla Highlands Pocket Guide"
If you are planning to visit southwestern Uganda, famous for the endangered mountain gorilla, take a look through the free "Gorilla Highlands Pocket Guide". The 16-page pocket guide is available online (pdf) and is packed with essential travel information (including 5 pages of classified accommodation and activity ads). 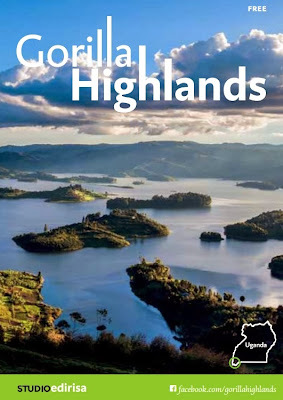 All content of the guide book is based on the "Gorilla Highlands Interactive eBook", one of the five best global electronic products in the field of culture and tourism (World Summit Award 2013). The eBook is a combination of world-class photography, graphic design, illustration, audio, video and advice. It is available on Apple's iBooks in 50 countries ($14.99). An extension to other platforms is planned for 2014. Enjoy! British newspaper/news magazine "The Economist" published a remarkable collection of photographs on youtube in honour of the late Nelson Mandela, who passed away in the evening hours of 05 December 2013 in Johannesburg, South Africa. The photographs are made by German/South African photographer Jürgen Schadeberg, a long-time friend of Madiba. Schadeberg, who was one of the few white photographers who photographed daily life among the black community during Apartheid, and Mandela first met in December 1951. They formed a lifelong friendship. Hamba kahle, tata Madiba! Hamba kahle, tata Madiba... you will continue to inspire generations! update (17 March 2014): Cape Town's city council has made funding available to secure Signal Hill, but the project has been put on hold until all the relevant parties can be in agreement on who will be on duty at the access points. The City of Cape Town approved the introduction of access control on the Tafelberg and Signal Hill roads between 10pm and 5am daily, following a spate of muggings and hijackings in the area. It is intended to place access control points at the southern end of the last main lower parking area on Tafelberg Road and mid-way on Signal Hill Road, opposite the view point. The control measures will be implemented as soon as possible, but most likely not before the start of this year's festive season. According to Brett Herron, the mayoral committee member for transport, it will take some time to conclude protocols with Table Mountain National Park with regard to erecting appropriate signage and manning the new gates. The gates also still have to be manufactured and installed. 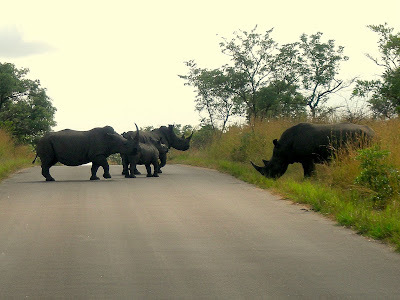 Travellers planning to visit the Kruger National Park during the upcoming festive season, should keep in mind that gate quotas will be strictly enforced during that period. South African National Parks (SANParks) therefore advices day visitors to book in advance in order to secure their entry in the park. Day visitors who pre-book their visit are expected to pay a non-refundable deposit of R32 per adult and R16 per child. The amount is meant to secure the space so that they can be counted in the number that makes a daily quota at that particular gate. Once the daily quota has been reached, only people who made pre-bookings are allowed to enter Kruger National Park. Day Visitors with advanced bookings are expected to arrive at the booked gate by no later than 13:00 on the date of the booking, because after 13:00 the booking lapses. However, this situation does not affect overnight visitors. The flag carrier airline of the United Kingdom, British Airways, plans to increase its operations between London (Heathrow) and Cape Town in South Africa during the Northern summer season. The airline will add three extra flights to Cape Town on board Boeing 777-200ER aircraft from 01 May 2014 - 25 Octoer 2014. This will bring British Airways' number of frequencies between London and Cape Town to 10 weekly. Great news for all travellers planning to visit Uganda's gorilla national parks! The Uganda Wildlife Authority (UWA) has launched a gorilla tracking promotion valid during the months of April and May 2014 (01 April - 31 May 2013). According to UWA management, during the promotion foreign non residents will pay US$350 instead of US$600 for a gorilla permit, foreign residents US$300 (US$500) and East Africans will part with Ush150,000 (Ush 250,000) a permit. For more information please contact the Uganda Wildlife Authority. Airports Company South Africa (ACSA) has published the on-time performance results of domestic airlines’ flying out of OR Tambo in Johannesburg, Cape Town International Airport, and Durban's King Shaka International Airport in November 2013. 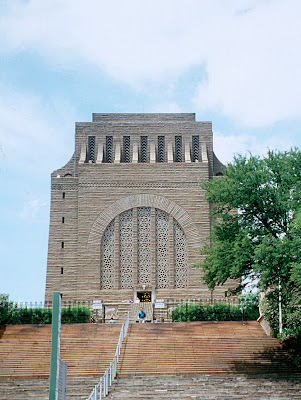 Fair Trade Tourism's (FTT), a South African NGO that encourages and monitors fair and responsible practises in tourism establishments and activities, recently added the Voortrekker Monument to the family of FTT-certified businesses. As part of the greening initiatives at the Voortrekker Monument, a recycling project in conjunction with the restaurant on site was recently established. For recycling at the monument, colour coded bins have been placed in strategic areas to make it easy for international tourists to contribute towards recycling project. The monument, located just south of Pretoria in a nature reserve, was designed to commemorate the Voortrekkers by architect Gerard Moerdijk. It was inaugurated on 16 December 1949 and declared a Grade 1 National Heritage Site in July 2011. Today the Voortrekker Monument is the most visited heritage site of its kind in Gauteng and one of the top ten cultural historical visitor attractions in South Africa. The monument is open daily from Mondays to Sundays from 08:00 - 17:00 (May - Aug) or from 08:00 - 18:00 (Sept - April). Fair Trade Tourism's (FTT) certification programme, which was recently outsourced to FLO-Cert, is based on adherence to specific criteria including fair wages and working conditions, fair distribution of benefits, ethical business practice, and respect for human rights, culture and the environment.